Today I’m going to talk about the cooperative movement’s struggle to develop values focused on human needs within a competitive capitalist system. 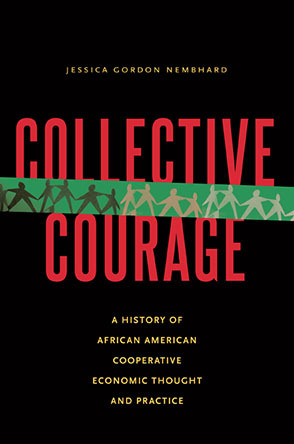 I was first introduced to the cooperative movement in Seattle Washington in the late 1960s and early 1970s. I had just been fired for trying to organize a union where I worked when a neighbor offered me work at a local cooperative bread factory. She told me that it was their policy to help out of work folks, especially if they lost their job due to union activism. During that period, Seattle was known as a community with a strong left and anarchist history and an extensive network of coops and collectives. Suddenly I found myself working with peers in a working situation in which I was empowered and even encouraged to be part of the decision making process. For the first time in my working life, the creativity, intelligence and social vision that make us human was realized through a job where I was producing goods needed by my community and paying my rent at the same time. I was surprised how at how empowered I felt and realized that it was the first time I really understood the concept of worker alienation – not as an abstract concept – but as the condition of my daily life. I had felt workers solidarity before in my union but it was always under the watchful eye of a boss and my boss’s agenda. I suddenly had a vision of what a society that preferences people over profits might be like. Combining a social vision with meeting everyday survival needs is one of the most effective forms of organizing workers that I have encountered because it adds a deeper layer of solidarity that is not just theory, but grounded in our concrete existence. Although cooperatives originated in the context of social justice movements furthering the transition to socialism, they have primarily been used as a safety valve to absorb the unemployed and those excluded from the formal wage labor capitalist market. Statistics show that in the United States the number of cooperative businesses increase during economic depressions, but retreat once the depression is over. Cooperatives have also provided an alternative path for groups such as racial minorities, undocumented workers, and women that have faced discrimination in the formal wage labor market. The increased mobility of capital and rapid globalization of the neoliberal free market agenda, as capital moves quickly from one underdeveloped area to another, has led many to reexamine the importance of the cooperative economic form as a strategy to push back against the stranglehold of Global Capitalism. Not only does Capital seek ever lower wages and leave large numbers of unemployed in its wake, it has further complicated the problem as profits are increasingly based on financial aspects at the expense of producing socially useful goods. worker owned and managed coops where workers actually produce products and services collectively and equitably. The Rochdale Principles broadly define the social relations of coops and clearly place people above profits, but they do not explicitly deal with the relationship of the workers to the ownership of the means of production. Many suggest that they are necessary but not sufficient. If one truly wants to radically alter the current capitalist system, one must end the individual ownership of the means of production as private property. It is private property that provides the mechanism for capitalist exploitation of workers as well as the surplus capital for the capitalist form of economic development and competitive growth. If a society only considers the distribution and exchange of goods (the consumer sector) when fighting for social justice, hard won gains can easily be taken away should the capitalist owners of the means of production choose to pull their support. We can see this through the austerity programs currently being implemented by governments throughout the world, following the loss of financial capital in the 2008 economic crisis, as they shred the social safety nets of the people in those countries. Although the Rochdale Principles do not specifically address Marx’s labor theory of value and the exploitation of labor within production, only in the third type of cooperative – worker owned and managed coops – do workers control their labor in the production process and then only within their own cooperative, if it is equitably and democratically run. It is this type of cooperative that can possibly provide the seeds for radical transformation. It is also important to note that the development of a cooperative economy cannot be evaluated on the basis of the number of individual cooperatives alone, but is dependent on the degree to which they form an interdependent cooperative, effecting the surrounding economic, cultural and government support systems. In evaluating the cooperative model as a transitional form, we cannot only look at the “ideal” but must evaluate how it operates in practice in the real world. The Anarcho-syndicalists model also put forward in the late 1800s, focuses on the third type of cooperative, worker-owned and managed enterprises, as a transformative economic form that could replace the rapacious capitalist system. Like the Rochdale principles it focuses on cooperation without class conflict or labor exploitation, by linking confederations of unions, cooperatives and communities, organized from the ground up. In recent years, labor unions have also weighed in on the role of cooperatives as a means of organizing workers. Like the Anarcho-syndicalists, they stress the sovereignty of the workers within cooperative models while connecting the worker-owned and managed cooperative to the larger working class movement as a whole. Marxist critique. Traditional Marxists argue that you can’t just “grow” another economic form within capitalism. If a cooperative movement did start to overtake the capitalist mode of production, the capitalist owning class would bring all its political, military and cultural might to crush such a movement to retain its control over the working class. According to the Marxist critique, before a new more egalitarian system can be implemented, workers will have to expropriate from the capitalist owners their collective political control of the state, through a revolutionary dismantling of the state either electorally or militarily. In the past, Marxists saw the wage workers in the large industrial plants as the core which would form the revolutionary proletariat that would appropriate the privatized means of production and reorganize it into a socialist state. However, with globalization and decentralization, where the workforce is fragmented, where employers can pick up and disappear at the drop of a hat, where workers are spread out in small decentralized subcontracted shops or where there are few or no employers at all, the traditional model of trade union organizing is, in many situations, no longer viable. This forces us to look for new ways to organize workers, possibly including older forms such as cooperatives, as one strategy for transitioning from a society that focuses on capitalist profit to one that focuses human needs. In evaluating the cooperative model as a transitional form, we cannot only look at the “ideal” but must evaluate how it operates in practice in the real world. Most worker owned and managed cooperatives vary to a greater or lesser degree from the “pure” model, depending on the needs and wishes of the worker-owners, the type of enterprise, the regulations/laws of a particular state or country and the economic, historical and cultural environment in which they operate. For example, coops breakdown into those that produce commodities which are capital intensive (e.g. manufacturing) and those that produce commodities or services that are more labor intensive (e.g. food production). Obtaining the capital and economies of scale necessary for capital intensive projects is one of the major problems the cooperative movement currently faces. This paper will try to give an overview of two different cooperative models, comparing their theoretical goals to how they actually operate within the confines of the capitalist environment, highlighting issues of democracy (defined as workers’ control over their workplace), the ability to develop economies of scale, and the ability to compete in a capitalist economy while maintaining and furthering cooperative goals. We will further differentiate between State regulated cooperatives and cooperatives that are self-regulated within the private sector, as well as cooperatives which believe in worker sovereignty vs. community sovereignty. We will begin with perhaps the most well-known cooperative network in the West, the Mondragon Cooperative Corporation which originated in the Basque country in Spain. Briefly, Mondragon began in 1956 in Spain in a region that was somewhat isolated from the rest of Spain (the Basque people had their own language and were limited to the northern region of the country) . But they also had a strong Roman Catholic culture with a theology that believed in ministering to the poor and raising them out of poverty. In the 1950s, the economy was depressed from the Spanish civil war and further battered by World War II, due to its inability to obtain basic resources during that period. Politically, they were living under the Franco dictatorship, but also had two progressive strains – a Basque nationalist class-based movement (ETA) and a liberation theology movement in the base of the Catholic church. The ETA rejected cooperatives as abandoning the class struggle and continued to advocate for class revolution, assisting many of the anti-imperialist struggles in Latin America into the 1980s and 1990s (i.e.the Sandinista struggle in Nicaragua). The first Mondragon project was started as a private enterprise funded by workers cooperatively funding the business. The first Mondragon business established was a school to train workers. Five of the graduates began a small heater factory. In line with the cooperative principle of worker sovereignty, the project emphasized democratic and egalitarian economic structures. Each worker would buy into the company receiving one share/one vote. No one was allowed to receive more than one vote or purchase multiple shares. The workers (there were two pay grades) elected their supervisors and administrators and the managers could not make more than twice the pay of the highest worker and were to be elected internally from cooperative members. All workers had to be cooperative members, except during the six month trial period when they were on probation before they joined the coop. No outside workers could be hired. Every cooperative had to have at least 5 members (to ensure a collective rather than individualistic approach) and no more than 500 (to prevent hierarchy and bureaucracy). When there were conflicts among the workers or between the workers and managers, there was a social committee to cooperatively mediate and settle the difference) but there were no unions allowed. Women were accepted as equals in the workplace (unusual in most capitalist societies including the United States at that time). As Mondragon grew, it established a cooperative bank which became the main conduit for connecting the various cooperatives. They also established a university to keep educating workers as business owners in managerial and technical skills. When they needed managers with specific skills that were not available internally, they hired managers from firms outside the cooperatives. In order to attract those managers, they had to pay more competitively, so the difference between the salaries of managers and workers rose from a ratio of 2:1 to 9:1, but this is over 60 years and much more egalitarian than the average ratio in capitalist countries which is in the range of 354:1.
coops were allowed to hire outside non-members workers (both temporary and permanent)that have neither secure employment, coop benefits or decision making power. This is especially true in their international cooperative ventures where differential exchange rates in some cases (China) allow for economic inequities between cooperatives in different countries which sometimes seem to take advantages of the exploitation of global imperialism. The fact that up to 40% of Mondragon workers are temporary (the maximum allowed by Spanish law), that most of them are women (an indicator of how external factors of women’s financial and social role in a patriarchal society effect the internal cooperative arrangement), and that there were strikes against various cooperatives (Ulgor in 2009) suggest how much the traditional capitalist relations of workers to owners have been able to penetrate Mondragon. Most emblematic of this, was the increase in the network investing in financial sector “products” such as hedge funds instead of use oriented products in the real economy. Mondragon did, however, attempt to save as many members and cooperatives as possible and even to relocate members laid off from Fagor in other cooperatives, in the largest act of solidarity since Mondragon began. They also signed an agreement with Eroski, a retail grocery chain throughout Europe, giving their workers cooperative status, which had been a bone of contention since Eroski workers had been in a non-member worker status for so many years. Although Mondragon was reduced in size, they did retain some of to their cooperative principals and still prioritize their social needs projects including cooperative educational programs. They are in fact, currently helping Americans interested in developing joint venture-cooperative projects in the United States. At the same time, their increasing orientation toward a neoliberal export model of capitalism is evident. In the most recent available annual report, they are increasing their investment in the global free market model with 71% of their business abroad and it is unclear if they have actually changed their reorientation to the financialized, neoliberal economics that got them into so much trouble in 2008. A very quick look at two of the private sector models that developed primarily in the United States in conjunction with Mondragon are instructive in terms of how the models increasingly deviate from the original, both in terms of the cultural, political, and economic environments in which they exist, as well as a creeping orientation toward traditional capitalist wage-labor class relations. Developing cooperative networks in the United States – where the myths of individual capitalist competition and the self-made man originated – has not been easy, as there is little legal or economic support for coops in the States. Recently, due to the worldwide interest in coops and the economic crisis increasing the number of unemployed, the federal government’s Small Business Administration has finally decided to give loans to cooperatives and a few city governments provide a limited amount of funding. Finding funding sources for all but the most labor intensive projects, however, has been a major issue. Mondragon helped develop several cooperative projects that use private capital from nonprofit corporations, unions and other private banks. One project, The Evergreen Initiative, in conjunction with Mondragon to revitalize a depressed community through job creation, was designed to include non-worker shareholders from local nonprofit organizations and several large successful “anchor”institutions (hospitals, universities, etc) in the neighborhood who would not only have an interest in revitalizing the neighborhood, but could provide the capital necessary to provide the initial financing. In their effort to try to solve two of the most persistent problems for cooperatives – finding capital for development and creating capital intensive projects – they forgot the third major value of successful of cooperatives: democratic control and sovereignty of the workers. The outside shareholders designed the projects to meet the needs of the local market and institutions before they even hired the workers so the workers had no input. The designers did not consider that by jumping immediately to economies of scale, the management of the projects might be difficult for the workers to handle with no prior experience and no time to grow into the job. One of the local businessmen hired to implement the program admitted, three years after he started, that he still felt hesitant turning the project over to the workers. The project was initiated in 2009 with the goal of creating ten cooperatives providing the community with 500 jobs in five years. Seven years later they have established three cooperatives (a hydrophonic urban garden that covers a city block, a mid-sized industrial laundry, and a solar panel company) with ninety workers who each make a living wage of $10.50/hr. and have equity in their companies. So far, $25 million has been invested in the project with none of the investors committing to ongoing funding. Only one coop is making a profit. The local institutions that were supposed to be their customers have contracts with other suppliers which prevent them from using the coop services. The workers clearly take pride in their work and are happy with their jobs, but they still do not manage or have full decision making in their own cooperatives and don’t show a commitment to the neighborhood which was one of the original goals of the initiative. (Several workers once they could afford it, have bought a house in another neighborhood). One has to wonder how many of the deviations were necessary to get the coops going and how many were inherent in the orientation of the United States as an individualistic, market oriented society in which hierarchies and “bigger is always better” ethos (i.e. instead of starting with a fully developed plan with capital-intensive coops, why not start with the workers and let the growth develop more organically?). The other model that developed in the United States in recent years is the union coop model. This is a more complicated discussion as the presence of a union representing the coop both connects coops in a potentially positive way by connecting the cooperative businesses to the large working class, but also suggests the need for an outside group to monitor the growing class relations in the cooperatives. The joint ventures between Mondragon and the Steelworkers also have a somewhat hierarchical nature where the full projects have been planned in advance making one wonder just how much the workers in the coop are involved in the planning (similar to the Evergreen Initiative). The final model in the non-socialist countries is the State Model, where the interconnections between the Coops are primarily regulated and coordinated by the state instead of through private sector actors such as nonprofits, credit unions or unions. These have generally occurred in socialist leaning countries that have not had a full transition to a planned socialist economy. When Chavez was elected in 1998 he inherited an economy developed under US-backed neoliberal policies that was profoundly individualistic, unequal, and discriminatory. Eighty percent of people were below the poverty line, with 5 million people living in substandard barrios. Building on the existing cooperative established under the Catholic Church, the new cooperative law transformed cooperatives into a fundamental tool of social inclusion that goes further than purely economic activity and is based on productive relations which are collective in solidarity and inclusive. The law was supported by a broader legislation that would not only fund and regulate cooperatives directly, but provide training and health, housing, and other social needs necessary to make a cooperative society a reality. The law itself was written by cooperative experts; it set the minimum number of members at five and requires the government to give preference to cooperatives when awarding contracts. It set up a national job training program that paid minimum wage to the unemployed while they learned about coops and got basic occupational skills, and encouraged graduates to form coops. Coop registration was made free, coops were exempt from income tax and micro-credit was made available to them. Between 2002 and 2008, over 280,000 cooperative ventures were registered yet according to a 2006 study by SUNACOOP, which headed the government’s oversight, only 50,000 were actually functioning. This discrepancy was partly due to the fact that “insufficient oversight” was frequently due to remnants of a corrupt pre-Bolivarian culture of bribery that still controlled many state and municipal governments and, since cooperatives are legally independent privately-owned businesses, led many to register as cooperatives to take advantage of government subsidies. It is important to note that SUNACOOP, the government’s legal body to coordinate cooperatives focuses on legalistic aspects of cooperatives such as the funding of basic coop education and legal registration which does not provide the level of coordination or solidarity to create the real integrated cooperative networks needed to maintain the cooperative mission. Although several smaller cooperative networks developed within the broader model (the Cooperatives of Social Services of the Lara State under the auspices of the Catholic church; the Strategic Solidarity Alliance network of 17 cooperatives that service Caterpillar heavy equipment throughout the country; Banco Mujer which provides microloans and cooperative education to women) the failure to integrate individual cooperatives into cooperative networks in the fullest sense might prove to be a general limitation of the state model. The Bolivarian government itself recognized this problem and between 2008-2010 shifted to fully socialized communal councils based on political-economic cultural structures, collectively referred to as the communal state, which basically consists of fully socialized groupings of families involved in self-governing projects of 200-400 families in urban areas and 50-100 families in rural areas) based on participatory principles based on social justice. The biggest danger to the cooperative communal council model in Venezuela or any socialist-leaning state is the constant pressure from global capitalist forces to overthrow the entire State apparatus against which those of us who support socially oriented societies must be constantly vigilant. The Bolivarian Project had been under constant attack from the neoliberal forces in the United States, including five recall elections, at least two attempted coups, economic sanctions from the United States as well as US efforts to sanction and possibly remove the Venezuelan government through the Organization of American States. Interestingly, even since the government stopped supporting cooperatives in 2008, another 40,000 new ones have been registered. The depressed economy and hyperinflation due to the manipulation of oil prices has meant that over 50% of the economy is still in the informal sector. Although the government is continuing to provide social services to the people, if they aren’t employed by a private company, the government, or the communal state they still need to do something to survive. There are currently 90,000 active cooperatives with over a million members. Whether this is simply yet another moment when cooperatives are a temporary response to depressed economic conditions, they are still a strong force of community empowerment for the common good and for combatting the values of individualistic competitive capitalism. As Gar Alperovitz suggests in “The Next System Project,” things come in their own time and maybe we have to think of transitions in terms of several decades and multiple approaches toward creating a cooperative world – from consensus, to green sustainable options, to consumer cooperatives as well as worker-owned and controlled coops or communal councils, to any other popular people’s initiative that turns up. The question is, will the change be transformative in the direction we want?